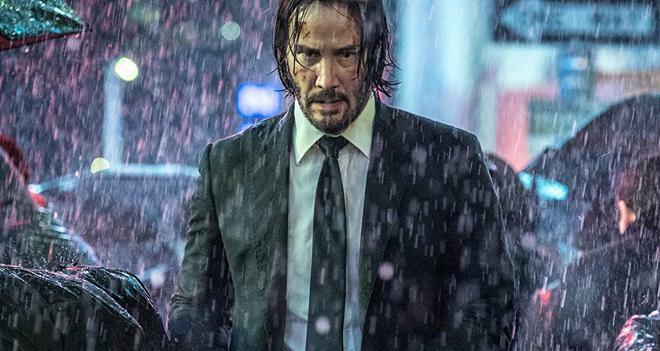 Lionsgate has released a new trailer for John Wick: Chapter 3 - Parabellum, offering an extended look at the flick's stylized action scenes. The latest entry in the series will hit theaters on May 17, 2019. John Wick: Chapter 3 - Parabellum features the return of series director Chad Stahelski and writer Derek Kolstad, who both filled the same roles on the franchise's previous installments. The cast includes Keanu Reeves, Halle Berry, Laurence Fishburne, Mark Dacascos, Asia Kate Dillon, Lance Reddick, Saïd Taghmaoui, Jerome Flynn, Jason Mantzoukas, Tobias Segal, Boban Marjanovic, Anjelica Huston, and Ian McShane. Basil Iwanyk and Erica Lee serve as producers, along with co-producer John R. Saunders and executive producer Jeff G. Waxman. Summit Entertainment will present the movie with Thunder Road Pictures in association with 87Eleven Productions. Lionsgate will handle distribution. The film serves a sequel to John Wick (2014) and John Wick: Chapter 2 (2017). Both movies are now available on Blu-ray (John Wick, John Wick: Chapter 2) and Ultra HD Blu-ray (John Wick, John Wick: Chapter 2).